Do you appreciate the charm, details and craftsmanship of an older home yet crave the conveniences and amenities of a new construction? This Sprawling 4bdrm country farmhouse offers the prefect blend of old and new. 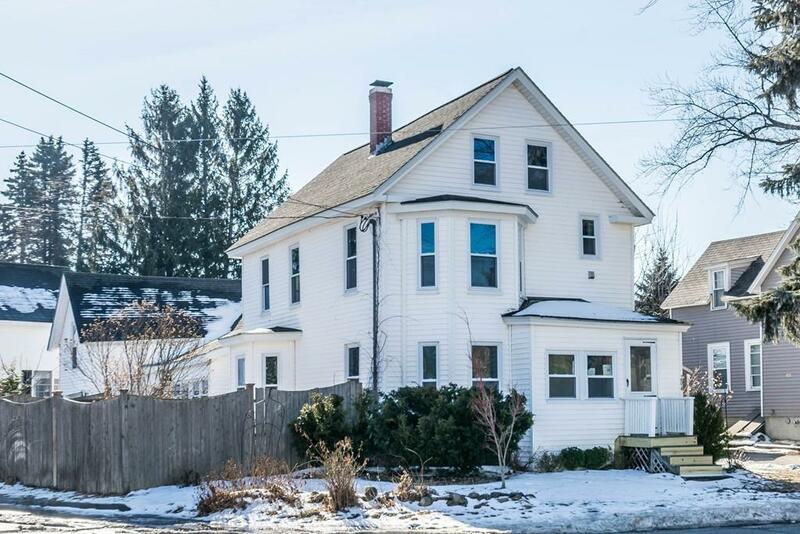 Ideal for the large or extended family, this newly remodeled home features a new white shaker style/granite kitchen, SS appliances, dining room, living room, 1st floor bedroom and 3/4 bath. 2nd floor offers 3 additional bedrooms, laundry hook-ups and full bath. New windows, newer roof, refinished hardwood floors, high ceilings, fresh paint, fenced yard and attached garage with potential for additional living space with heated room over garage. Convenient to shopping, public transportation, schools and I495. This little slice of country living nestled in the heart of the city with all its conveniences can be yours, please join me at our first OPEN HOUSE, Sunday, 2/10 from 12:00 to 1:30....to see if this could be your dream home.